Playoffs occur the week after the regular season concludes. Our spring City Cornament and end-of-season party location will be announced soon! Our sponsors are the best! Bring your "A" game the week of playoffs and walk away with a-maize-ing prize packs consisting of beer, swag, and gift cards from participating restaurants and our CornholeATL sponsors. 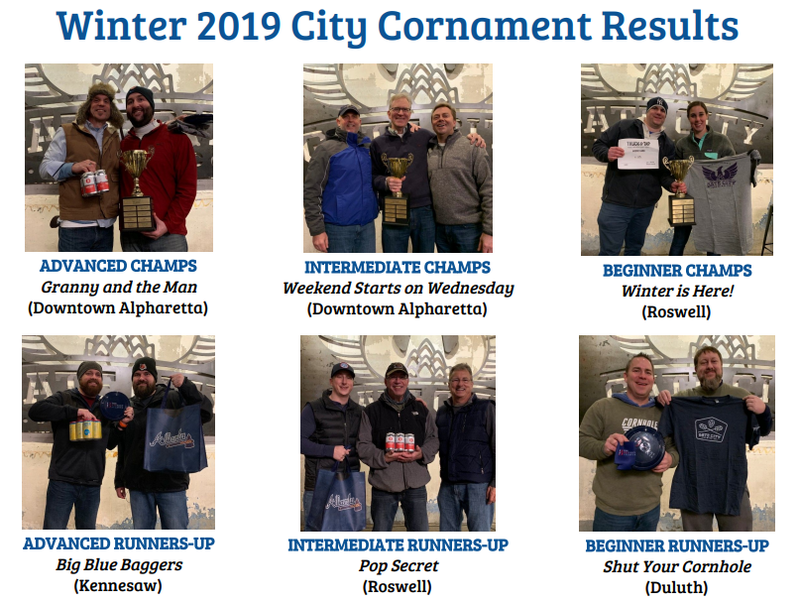 The cold didn't stop the competition from heating up at our Winter 2019 City Cornament held at Gate City Brewing on Wednesday, March 6! 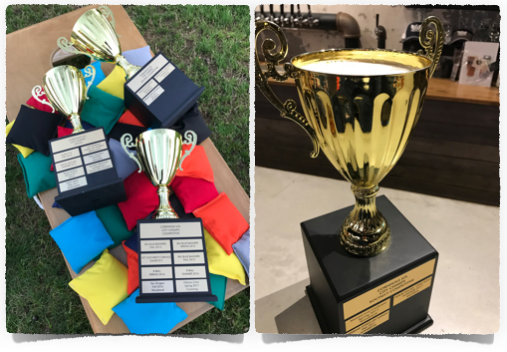 Congratulations to our City Champions who get their name on The Cup and our City Runners-up! (Alpharetta) What the Actual Shuck?